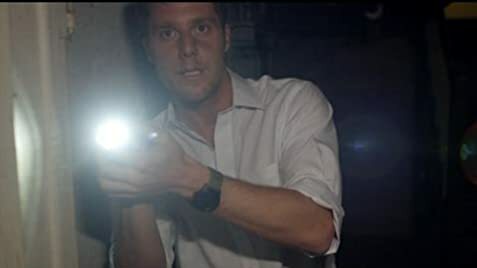 When film student Jay gets some tapes from his friend Alex containing footage of a cancelled film project called Marble Hornets, he is followed by an entity called The Operator and finds out the secrets behind the tapes. After the death of his cousin, a college student uploads footage from a weekend they spent together. However, he discovers something disturbing while going through the tapes. Soon enough, he slips down the same rabbit hole his cousin did. Tom Riley wins a new home as part of a sheriff's sale, but all is not what it seems. Q: Does this film relate to the Marble Hornets YouTube series? 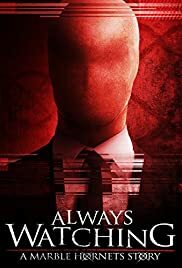 Always Watching is another addition to the preponderance of found footage movies within the horror genre. 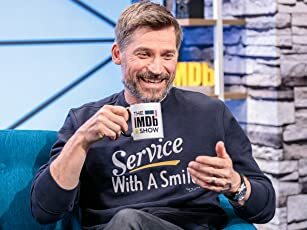 I was getting tired of this gimmick a good number of years ago, but it obviously isn't going anywhere...and when it works it actually does end up leading to some worthwhile movies. This one is a bit of a loose take on the internet-created Slenderman trope, arguably the first entirely crowd sourced urban legend. The antagonist is referred to as The Operator rather than Slenderman, though the parallels are transparent. In this movie the antagonist only shows up on camera and a news crew working on a story about a family that disappeared happens across home videos that they are scouring for any information regarding the disappearance. The cameraman begins experiencing some encounters that have him (and his coworkers) questioning his sanity and he begins taking his video camera with him everywhere he goes. Though the human naked eye doesn't seem to he capable of seeing The Operator, the camera man's dog seems to see it just fine. I won't bother with drawing any correlations between this movie and the Marble Hornets' short films, because there isn't really a whole hell of a lot that actually connects them beyond the use of the name The Operator in place of Slenderman. There isn't anything new or really inspired in this movie to set it apart from other found footage titles, though it does have some good tense moments and a few decent jump scares. If you're looking for a creepier, more unnerving Slenderman experience, I would recommend playing the video game Slender: The Arrival, which has both a better atmosphere and more effective jump scares (in addition to being interactive, which is quite a bit more immersive). The movie isn't horrible, and the acting is pretty good for the sort of low budget found footage movie it is...so it isn't a waste of time to watch. But if you are looking for something that might be actually scary or really interesting I would recommend waiting for the upcoming CreepyPasta movie directed by Clive Barker. I suspect that his treatment of the Slenderman story will be be far superior.